PRICE REDUCTION!! Great Property for Investor or a Family wanting space! Spacious two story home with wrap around covered front porch...two bedrooms on main floor and four bedrooms on upper floor....Owner has completed a lot of remodeling ..Vinyl siding to be completed on small area in rear of home in next couple of weeks so entire home will have vinyl siding exterior...downstairs rooms will be newly painted in next two weeks....upstairs rooms have been painted... features include laminate wood flooring on main level and vinyl flooring on the upper level, deep commercial style stainless steel kitchen sink, kitchen renovation including piping, insulated attic and crawlspace with moisture barrier, newer roof and HVAC on the main, bathroom countertop, accessories, and cabinet renovations..vinyl replacement windows throughout..lots of work done..level back yard great for recreational use or relaxing..monitoring system with camera...near interstate for easy commute....SOLD AS-IS. Sold by Bess Realty Llc. 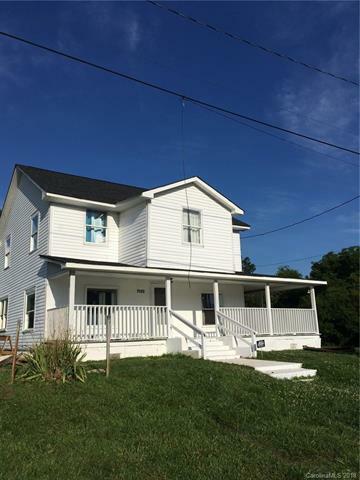 Offered by Bess Realty Llc. Copyright 2019 Carolina Multiple Listing Services. All rights reserved.